With limited lodging options available for the weekend of the Feb. 3 game, the pricey offer may be all that’s available for diehard fans looking to book last-minute rooms in New Orleans. The demand has spawned an online cottage industry that isn’t necessarily sitting well with everyone in the local hospitality sector. When New Orleans was chosen as the host for the 2013 Super Bowl, the National Football League blocked off 90 percent of the rooms at 90 area hotels, said Mavis Early, executive director of the Greater New Orleans Hotel and Lodging Association. With the numerous corporate and media events leading up to the game, the remaining inventory was expected to be absorbed quickly. “There is going to be a last-minute scramble for rooms in the next few weeks,” Early said. The lack of available hotel rooms has opened the doors for property owners to rent their homes during the Super Bowl on a variety of online listing services, such as Craigslist and www.vrbo.com (Vacation Rentals By Owner). The websites allow users to set their price and control the information in the listings. The companies behind these services have managed to work their way around a city ordinance that prohibits rentals for less than 30 days in the French Quarter and 60 days elsewhere in the city. Disclaimers on two websites, www.biggamepads.com and www.rentsbhomes.com, place the responsibility of adhering to city rules on the homeowner. Craigslist had 90 short-term rentals specifically for Super Bowl weekend listed over the past month. Vrbo.com has 353 short-term rentals listed in New Orleans, with at least 21 referencing Super Bowl weekend. My Super Bowl Rentals, the Arizona-company behind the Lakeview sign, could not be reached for this story. Chicago-based University Football Rentals, which operates www.biggamepads.com, is listing homes for rent in the New Orleans market. The company decided to expand beyond college football games to the Super Bowl for the first time this year. Mike Doyle, its chief operating officer, said the company saw a demand for Super Bowl rentals at this year’s game in Indianapolis. There were only 8,000 rooms available in the city’s downtown area, so the NFL had to book rooms at smaller hotels 20 to 40 minutes outside of the city. Rather than stay so far from the stadium and downtown Super Bowl events, some fans decided to rent homes just outside of the city. Short-term rental listings for New Orleans have only been available for a few weeks at biggamepads.com, and there were only four homes available on this site as of this week, ranging from $1,400 for a one-bedroom house to $15,000 for a home that can accommodate up to 10 people. Homeowners determine their prices and set the rules for renters. Paul Jones, who started the website www.rentsbhomes.com this year, said its primary concern is making sure properties and owners are legitimate to help fans avoid scams. The website was started three months ago and had only two listings as of midweek, but Jones said he expects to see an increase in listings over the next month. While more homeowners take advantage of the demand for lodging, those in the business of providing rooms to tourists bemoan the city’s soft stance on enforcing its short-term rental prohibition. The Super Bowl home rental websites services are yet another violation going unchecked, said Bonnie Rabe, president of the Professional Innkeepers Association of New Orleans. Although some of the listings on Craigslist may include licensed businesses, Rabe said the 50-member organization she oversees normally does not advertise on free listing sites. She argues the city is potentially losing thousands of dollars in occupancy taxes from these types of rentals. 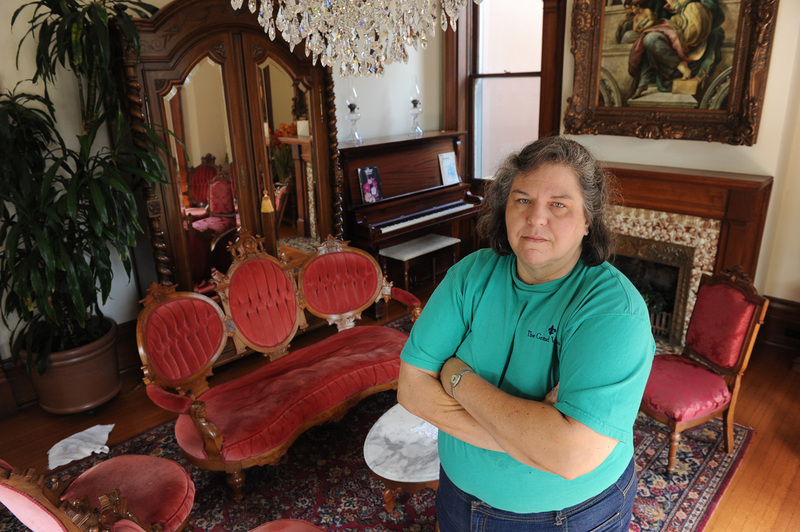 Bed-and-breakfast operations, such as the Grand Victorian Bed & Breakfast she owns on St. Charles Avenue, face a 13 percent tax on room rates in addition to a 50-cent per night tax. Homeowners listing rentals without licenses don’t have to pay these taxes and therefore have an unfair advantage over licensed innkeepers, Rabe said. Mayor’s office spokesman Ryan Berni said the city looks into short-term rental properties if complaints are made and, when applicable, issues subpoenas to force property owners into compliance. Because of limited resources, the city cannot investigate each listing to make sure the owner is compliant. The city is discouraging companies that are actively advertising illegal short-term rentals, he said. Early said the Greater New Orleans Hotel and Lodging Association is meeting with city officials to discuss how its short-term rental ordinance should be enforced. The NFL Fan Housing Service, which helps fans find last-minute lodging, is notified about unlicensed rental services, Early said. Her group is also talking with the NFL service about listing all legal rentals in the city in case the league needs to make more rooms available.